Dual 2 in. and 2-5/16 in. 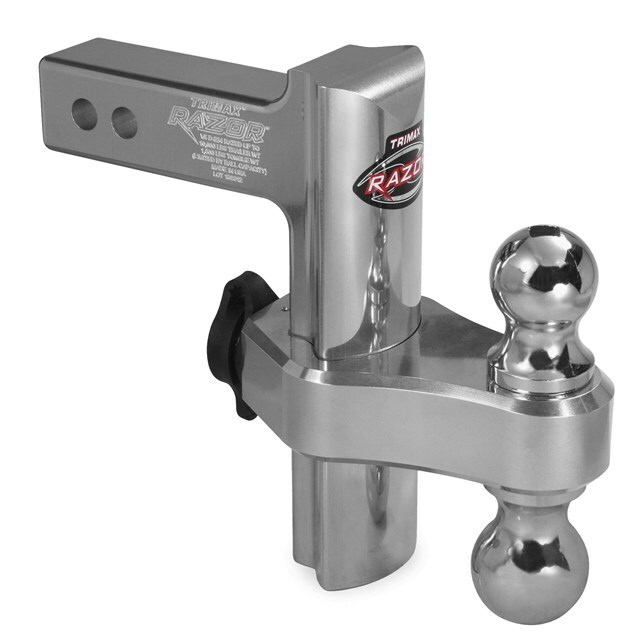 chrome ball with keyed alike ball mount and receiver lock set included. 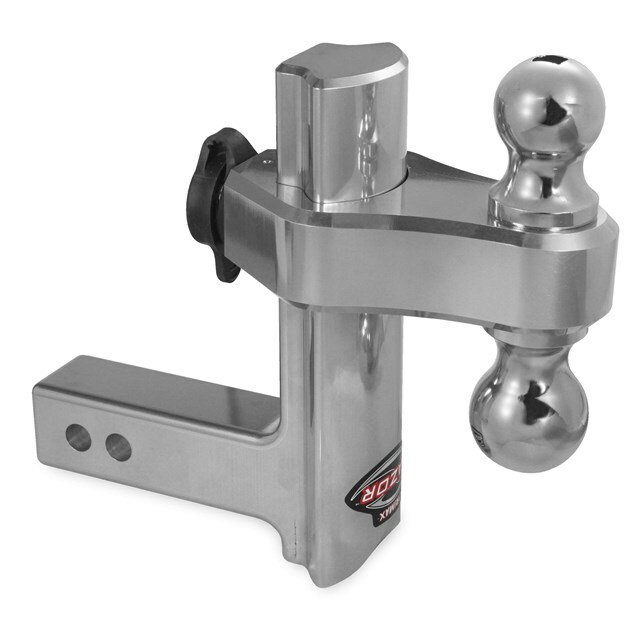 Unmatched style and strength; highly polished forged aluminum with a rating of 10,000 lbs. Adjusts in 1 in. increments and locks into place. Can be flipped to be used as a drop or rise hitch. Tongue weight rating: 1,500 lbs. Maximum adjustment of 8 in.